Typical inverse dynamics approaches to the calculation of muscle, ligament, and joint contact forces are based on a step-wise solution of the equations of motion. This approach is therefore limited in its ability to provide insight as to the muscular, ligamentous, and articular interactions that create joint stability. 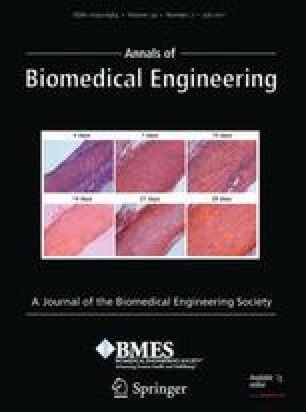 In this study, a new musculoskeletal model of the lower limb is described, in which the equations of motion describing the force and moment equilibrium at the joints of the lower limb are solved simultaneously using optimization techniques. The new model was employed to analyze vertical jumping using a variety of different optimization cost functions and the results were compared to more traditional approaches. The new model was able to find a solution with lower muscular force upper bounds due to the ability of the ligaments to contribute to moment equilibrium at the ankle and knee joints. Equally, the new model produced lower joint contact forces than traditional approaches for cases which also included a consideration as to ligament or joint contact forces within the cost function. This study demonstrates the possibility of solving the inverse dynamic equations of motion simultaneously using contemporary technology, and further suggests that this might be important due to the complementary function of the muscles and ligaments in creating joint stability. Associate Editor Catherine Disselhorst-Klug oversaw the review of this article. Van Sint Jan, S. Skeletal Landmark Definitions: Guidelines for Accurate and Reproducible Palpation. University of Brussels, Department of Anatomy (www.ulb.ac.be/~anatemb), 2005.